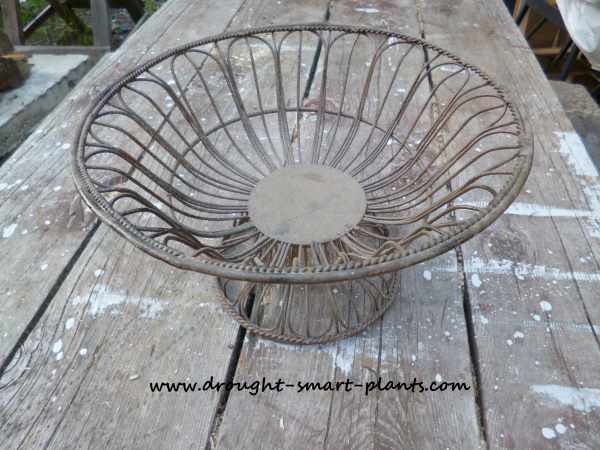 There are lots of humdrum baskets out there made out of wire. 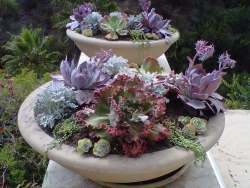 Whenever I see one, I see potential, but it takes a bit of tender loving care to make them into something fabulous. 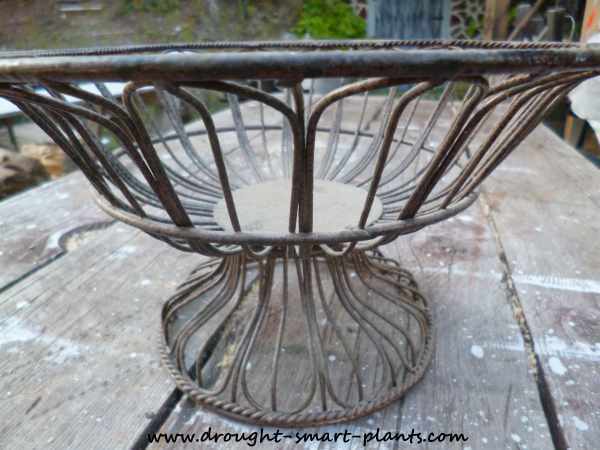 This Wire Fruit Basket Planter was something that a friend off handedly said, oh, you can have that if you want - I've got so many things hanging around that I don't know what to do with them all. That was all it took for me to grab it with both hands and make off with it. n my book, the rust and patina is what it's all about, so getting rid of the paint will start that aging process, the sooner the better. A few minutes in the bonfire is all it takes to get rid of the paint. It's important to stand around and watch this process and move it around to get all of it off. If you forget about it, anything made of wire can burn through and disintegrate. 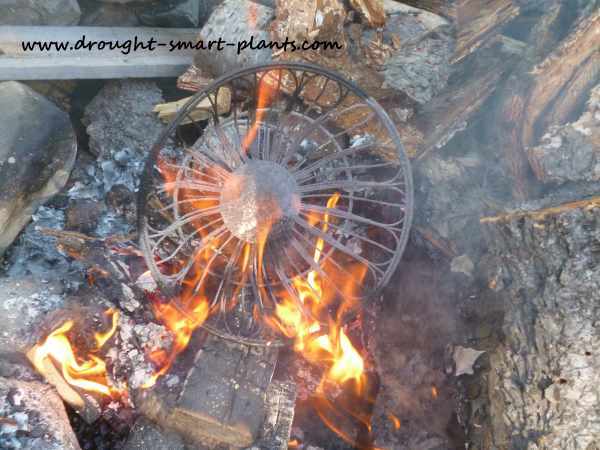 Take it out of the flames right when it looks like the paint has turned to powder - sometimes you need to use a wire brush or steel wool to remove the remaining crusty burnt paint. Then a quick rinse to remove the soot in the rain barrel, and it's good to go. Because the spaces between the wires are not very big, it won't need any kind of liner except the sheet moss that I collect from the rocks on the hillside. If they were wider spaced, I might use burlap to line the planter, but I like the look of the moss much better. If you think the spaces are too big, line the moss with landscape fabric to hold the soil in place. The moss holds the soil in place. Here I've used Sunshine Mix #4, mixed with a bit of composted steer manure for some nutrients. 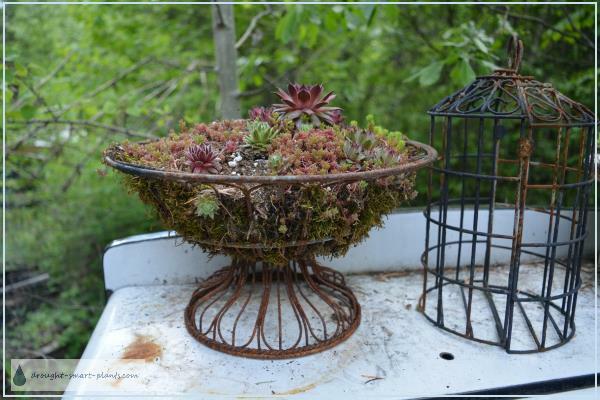 The moss is securely held in place by the weight of the soil, and water will run right through - just what succulents like. The friend I got this from will be surprised when I give it back filled with plants that will thrive in the adverse conditions of her garden. 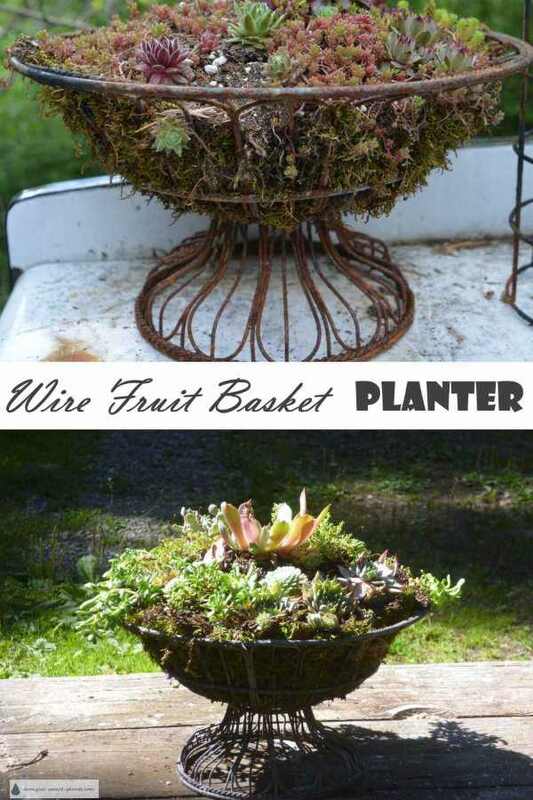 It will be fun to see her face, and I'll treasure the idea of this little wire fruit basket having a place of honor where she'll see it and enjoy it. Here's what this planter looks like in May 2016 - some things died out, but some things are thriving. 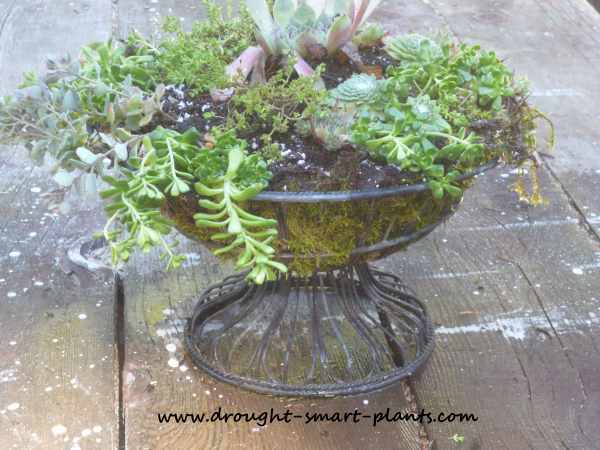 Sometimes this type of planter is the best test for hardiness of your plants; the plant itself might be listed as hardy for your area, but the roots can't take the cold, so if they can survive in this, you know they're tough.